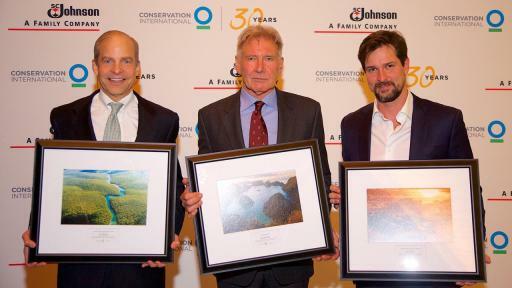 Conservation International honors Fisk Johnson, Chairman and CEO of SC Johnson; actor Harrison Ford; and Luis Justo, CEO of Rock in Rio, for their leadership in preservation at the organization’s annual gala on Thursday. 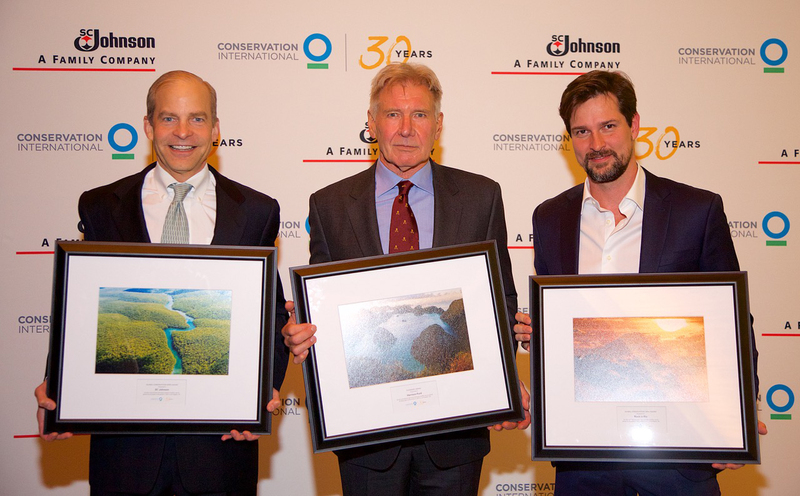 RACINE, Wis., November 3, 2017 - SC Johnson today announced it has received Conservation International's most prestigious award: the Global Conservation Hero award. 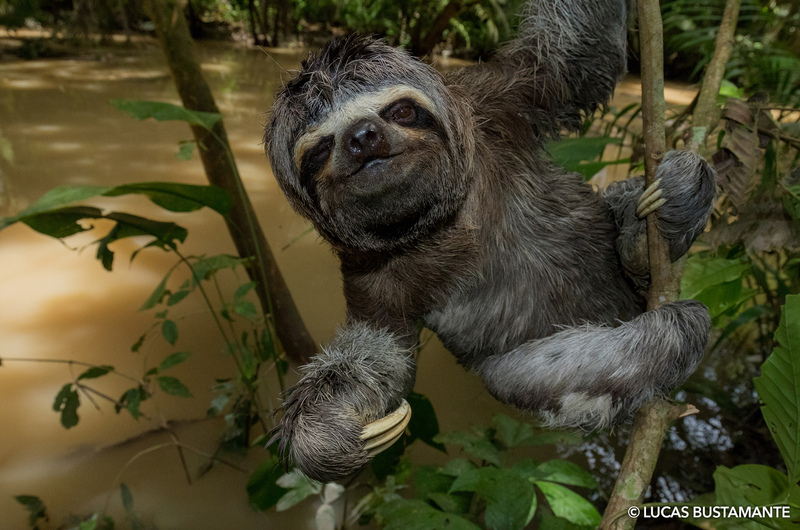 Conservation International (CI) presents this award to remarkable individuals and organizations whose environmental commitment and actions have had a transformative impact for the good of the planet and its people. 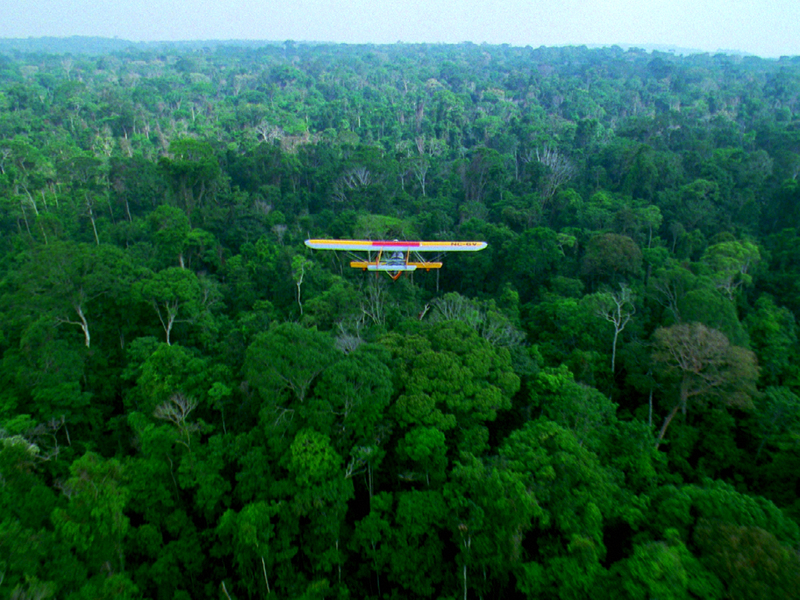 “SC Johnson's bold commitment to help protect the Amazon rainforest - particularly the recent action to save 10,000 acres of Amazonia in partnership with Conservation International earlier this year - demonstrates exemplary leadership and a deep connection to ensuring the health and prosperity of Amazonia, its indigenous communities and the rest of the world,” said M. Sanjayan, CEO of Conservation International. 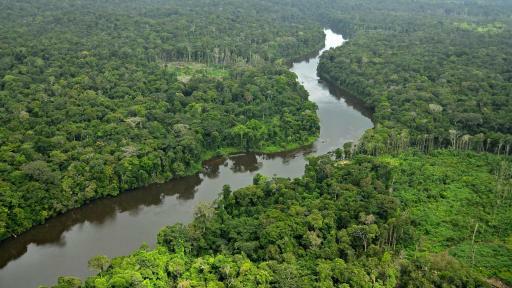 Last month the company announced that the funds raised from its acre-for-acre match challenge will be used to kick off the world's largest tropical reforestation project in the Brazilian Amazon. 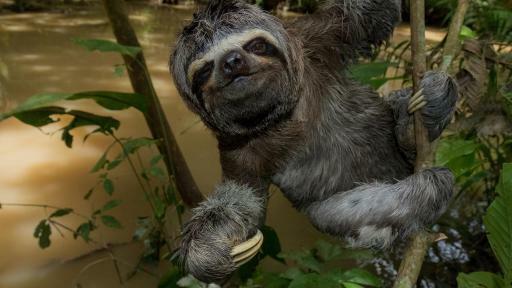 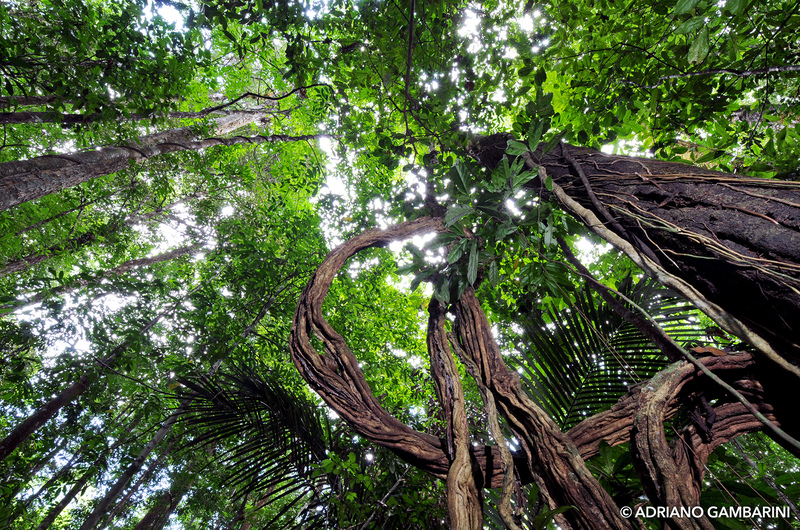 The multimillion-dollar, six-year project, which is the result of a partnership between CI, the Brazilian Ministry of Environment, the Global Environment Facility (GEF), the World Bank and Rock in Rio, will restore 73 million trees in the Brazilian Amazonia region by 2023. 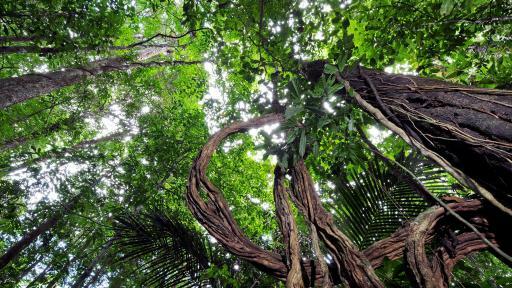 The endeavor will also help Brazil move toward its Paris Agreement target of reforesting 12 million hectares of land by 2030. 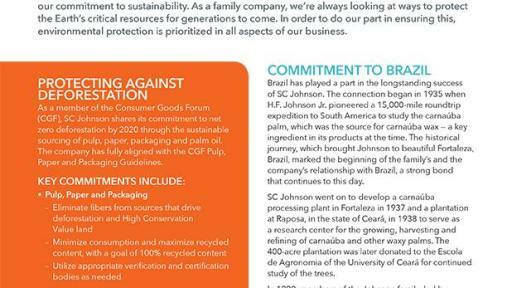 SC Johnson has been operating in Brazil for more than 80 years. 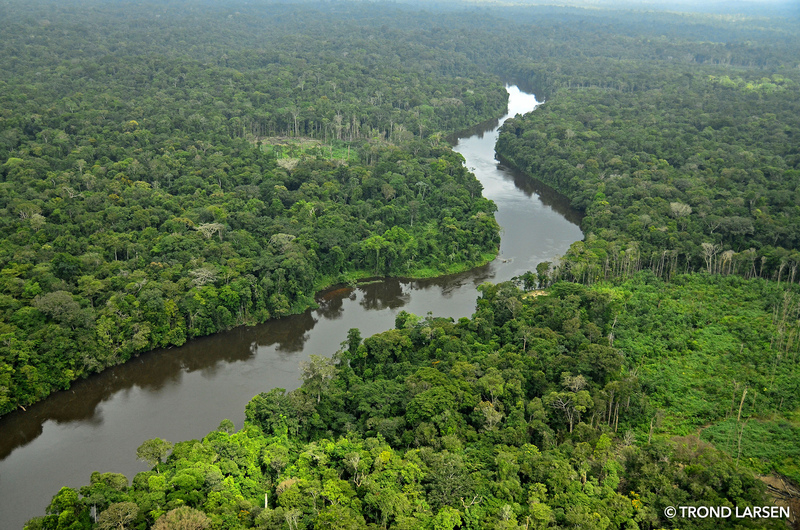 In that time, the company's manufacturing plant in Manaus has achieved zero landfill status, a protocol estimated to keep some 91 tons of refuse out of Brazilian landfills each year. 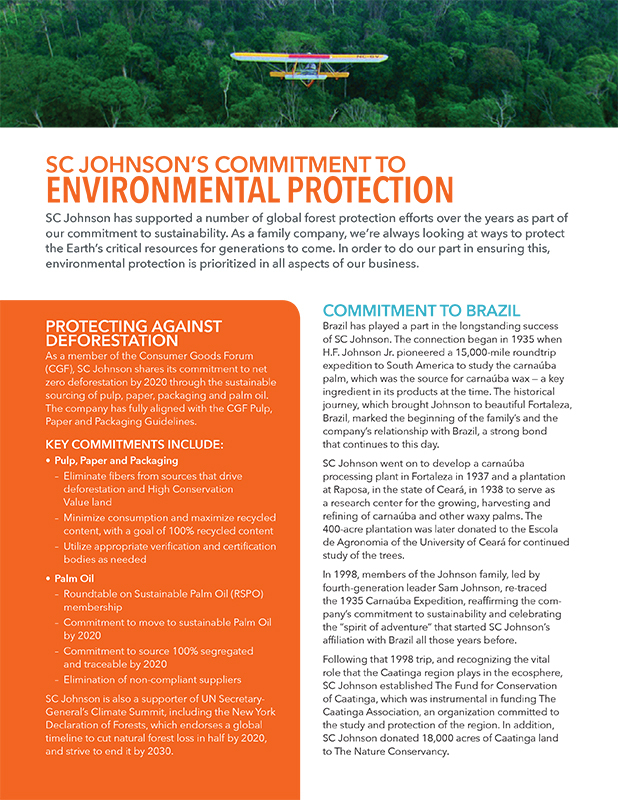 In the 1990s, SC Johnson contributed to the protection of two reserves in Brazil's Caatinga ecoregion. 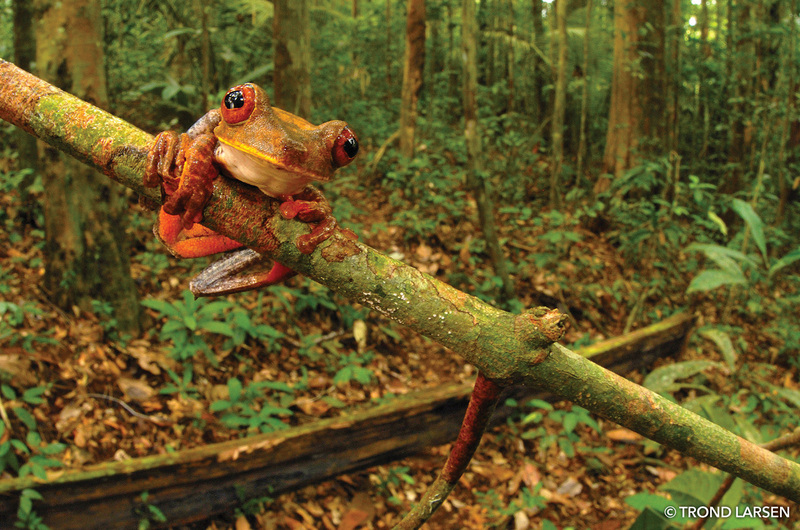 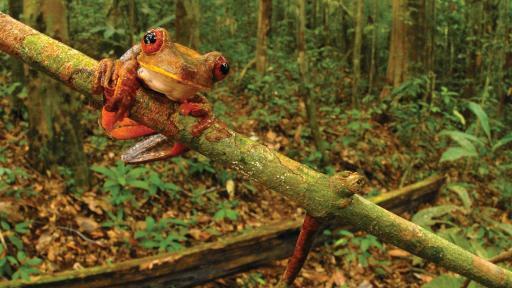 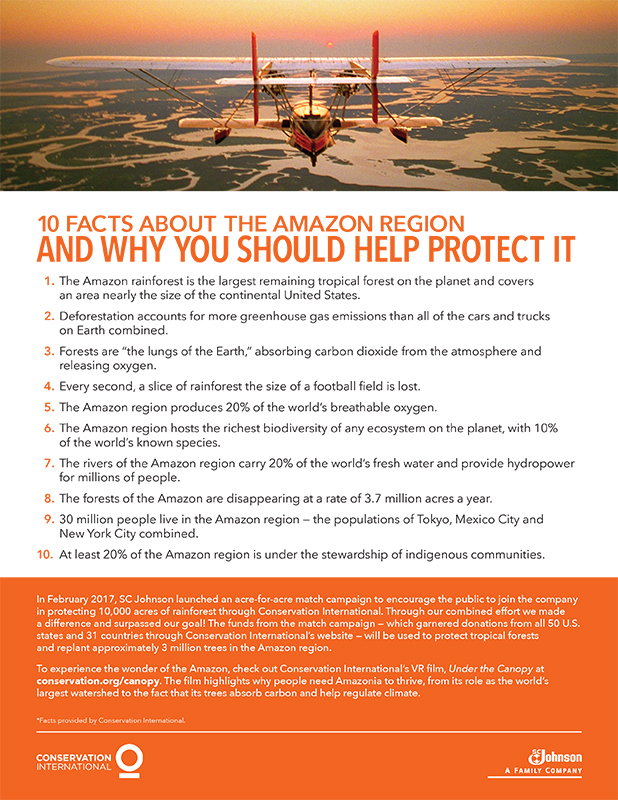 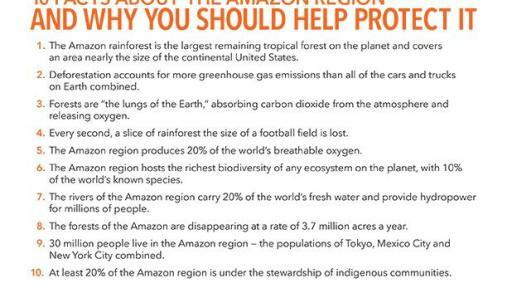 Since then, as part of the company's work with and contributions to CI, more than 100,000 acres of land have been conserved - much of that in the Amazon region. 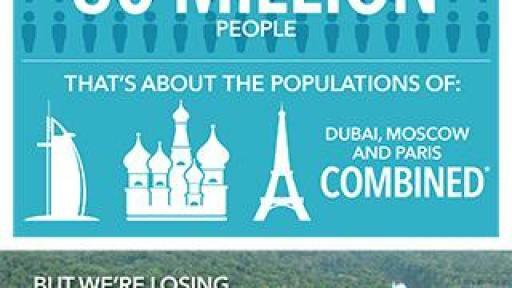 The Johnson family has a long personal connection to Brazil. 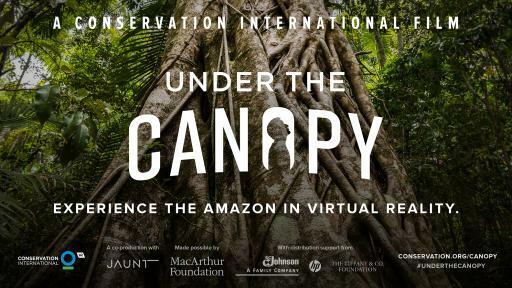 In 1935, third-generation company leader H.F. Johnson, Jr. led an expedition up the Amazon in search of the Carnaúba palm, whose wax was the principle ingredient in the company's products at the time. 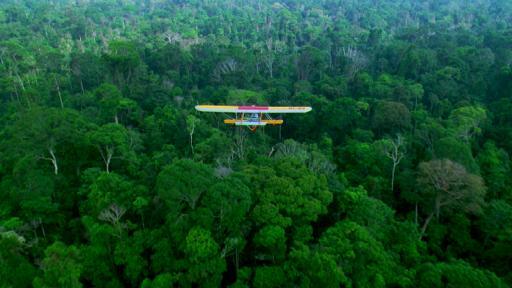 In 1998, fourth-generation leader Sam Johnson and his sons, including fifth-generation leader Fisk Johnson, retraced the historic expedition made by H.F. Johnson, Jr.